Cheaper Car Hire in Zimbabwe. Reduced rates to rent a MPV, SUV, minibus or estate/wagon. Get good, cheaper MPV, SUV and car hire throughout Zimbabwe. Avis, Budget and Europcar are our car hire partners partners in Zimbabwe, with rental locations at these airports:- Harare, Bulawayo and Victoria Falls. You can get two and four seater pickups, as well as vans to seat nine people. Zimbabwe was once known as the Bread Basket of Africa, and is slowly getting back to where it once was on the tourist map. 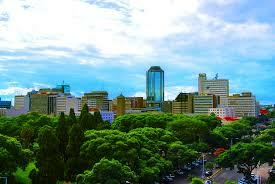 Zimbabwe has so much to offer anyone thinking of going to Africa, but depends where and how going. Roads to Bulawayo and Troutbeck in the Northern Highlands are okay, but suggest fly to Lake Kariba and Vic Falls.Robert Mugabe International Airport is close to the capital of Harare and takes about twenty minutes to get into the city. Spend a night in a tent, and hear the lion sleep tonight! Although there are many excellent lodges throughout Zim (as the locals say), certainly spending a night in tent is a must...but make sure you zip it up nice and tight, and don't go for any midnight walks. Tree lodges are also very popular, and can offer a high standard of comfort. Tip:- You can tell if an elephant is getting agitated (ear flapping being one), but a buffalo will just go for it, with no warning. Lake Kariba It is well worth spending a night on a floating log cabin, that is tied to a Mopani tree. 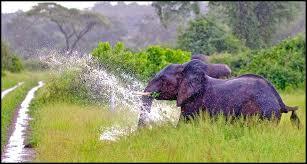 Canoe the lake and get close to the wildlife drinking on the lake shores. But be careful not to get too close! At night, shine your light around the cabin and see all the red eyes of the crocodiles, so watch out when paddling back to your own house boat. Open the door carefully as crocs have been known to sunbathe in the early morning sun on the verandah. Also, watch out (pretty difficult and dangerous) for the hippo mum and her calf and stay away. The hippo is the biggest killer of people in Africa. We offer cheaper vehicles to rent in Zimbabwe. Harare & Bulawayo motoring made easy. Budget rates on wide range of automobiles in Vic Falls. Victoria Falls A must go place in Zimbabwe. See the mighty Vic Falls, as the mighty Zambezi crashes into the gorge. White water rafting is a must. 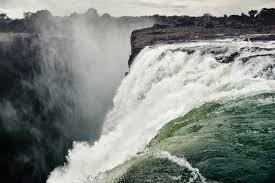 The Zambezi is a grade 5 river, with some rapids too dangerous to do. The 600 feet, 1 in 2 climb, up the gorge at the end, is tough! The Flight of Angels where you soar above the Falls in a small plane to get a different, unforgettable view. You can make changes to your booking for no extra charge. You can also cancel for free, but please check as time frames apply. Need a room? - You can also book a hotel with us through the hotel link at the bottom of the page. Need car hire in South Africa?